Please also be aware that before a therapist is allocated to you, you will need to pay for an initial number of sessions in advance. Once you have submitted your therapy referral form, our team will review the information provided and contact you by email to confirm these payments. 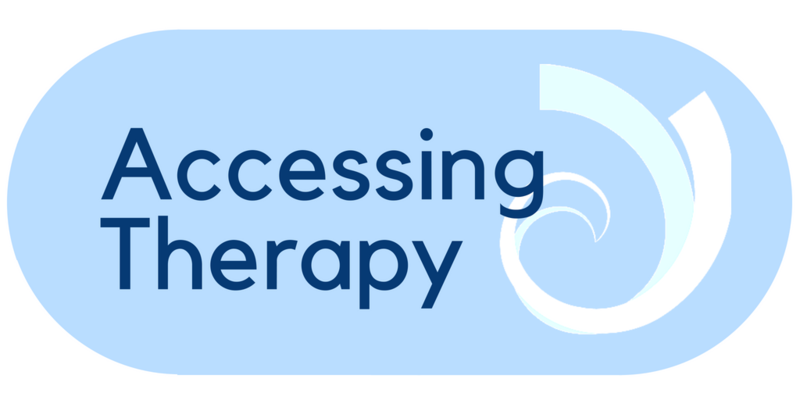 It is important that you have read our terms and conditions and FAQs before applying for therapy to avoid any delay or confusion in processing your application. It is recommended that only one form of psychological therapy is undertaken at one time. * The average number of sessions is 6-15 for CBT and Counselling. For Clinical Hypnotherapy, the average number of sessions is 4-6. Please ensure that the therapy type you have specified above is available in your selected location. You can do this by looking at our Therapy Locations Map, here. If you are able to travel to more than one location, please list your top three preferences. Due to high demand we cannot always ensure referrals to your first preference, in which event Anxiety UK will refer you to your second or third preference. Please note this may impact the availability of therapist that match your preferred location and we may need to consider phone or web cam support to accommodate your preferences. Please provide details if you would like to request the same therapist you accessed through DOTS. Please note: choosing to be contacted by email rather than via post or telephone will allow for quicker communication. Please note it is essential that we are able to contact you by telephone. Please note: we need details (name and number) for an emergency contact so we and your therapist know who to call in the event they need to at any time. Important: Neither your therapist nor Anxiety UK will usually need to contact your GP. However; as your welfare is of paramount importance, if issues of safety arise (for example, if either Anxiety UK or your therapist believes that you are a risk to yourself or to others) he or she may need to contact your GP before commencing treatment, or as appropriate during treatment. Your therapist will always discuss this with you before making contact with your GP. Therefore, it is essential we have your GP contact details as, without these, we cannot process your application. Please note, if you are under 16 years of age we will require a letter from your GP giving their permission for us to provide access to treatment, as well as confirmation from your parent/guardian of their consent for you to access this service. Providing an email contact for your GP is not essential, but may speed up the process should we need to contact them prior to you starting therapy. Including medication prescribed and dosage. 1 = fleeting thoughts of not wanting to be here; 10 = I have a plan and the will to carry out my thoughts. e.g. a family member, friend or professional. Tier 1: Total household income/individuals with savings under £10,000 or in receipt of following benefits: JSA, Income support, ESA or Carers and Disability Allowance, or individuals living on a State Pension only. Tier 2: Total household income and/or savings of between £10,000 and £24,999. Tier 3: Total household income and/or savings of between £25,000 and £49,999. Tier 4: Total household income and/or savings of over £50,000. Accepted file types: jpg, pdf, png, docx, doc. Proof of income could include one of the following - P60, wage slip, annual tax return, or a letter confirming you are eligible for benefits from the DWP or similar government agency. If you are applying for student fees, please attach a copy of your student ID and tenancy agreement to show you are living independently. If you have requested that Anxiety UK correspond with you by e-mail, which will require e-mailing your personal data outside of our own IT network. We are required to inform you there is the risk of data loss when e-mailing outside our IT network, therefore we require written confirmation (this can be an e-mail response sent to membership@anxietyuk.org.uk) that you accept this risk. I give consent for Anxiety UK to correspond with me in relation to my Therapy Referral by email. I acknowledgde that this may entail the risk of data loss and understand that Anxiety UK will store information safely in files and IT systems and that I can withdraw my consent for them to hold my information at any time by written notification. I do not give consent for Anxiety UK to correspond with me in relation to my Therapy Referral by email. We are happy to accept encrypted emails and documents. You can then call to provide the password over the phone. If you would like details on how to encrypt this document please contact services@anxietyuk.org.uk and the details will be passed over to you. Terms and conditions are available here or via the above email address. Anxiety UK is committed to providing access to services that promotes equality and diversity and removes barriers to access for all clients. We do not discriminate against people we employ or people seeking therapy support on any grounds including gender, racial grounds, sexual orientation, disability or age. To assist us to monitor our performance and make improvements where required we would ask you to complete the details below. All the information asked for on this form is for organisational monitoring purposes only. Individual information will remain anonymous. Please specify your ethnic origin here, if not listed. Please specify your religion or belief here, if not listed. Please specify your sexual orientation here, if not listed. For each of the following statements, please tick one box that best describes your thoughts, feelings and activities over the last week. 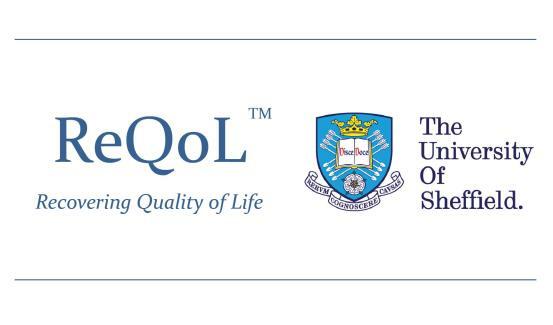 ReQol™© Copywright University of Sheffield 2016. All rights reserved. The authors have asserted their moral rights. Oxford University Innovation Limited is exclusively licensed to grant permissions to use the ReQol™. ReQol-10 English for United Kingdom. If you're not yet a member, sign up here!